(Reuters) - AT&T Inc will join rival Verizon Communications in disclosing details on government requests for customer data starting in 2014, after investors called on the two largest U.S. carriers to reveal more about controversial spying operations. New York-based Verizon, the second-largest U.S. telephone company by revenue, unveiled its move on Thursday following pressure from activist investors concerned about the extent of network operators' roles in systematic government surveillance. "Like Verizon recently announced, we intend to publish a semi-annual online report that will provide information on the number of law enforcement requests for customer information that our company receives in the countries in which we do business," AT&T said in a statement on Friday. Investors, including Boston's Trillium Asset Management and the New York State Common Retirement Fund, publicly pushed Verizon and AT&T last month to disclose details on their sharing of customer information with government agencies. The carriers' moves come days after a White House-appointed panel proposed curbs on various U.S. National Security Agency operations, including a halt to bulk collection of phone call records. The shift by carriers toward greater disclosure followed similar initiatives from tech companies such as Google Inc and Yahoo Inc, in the wake of revelations by former NSA contractor Edward Snowden that highlighted close ties between spy agencies and technology firms. Silicon Valley, worried about a customer backlash, has called for greater transparency around U.S. government requests for user information. Until now, telephone companies like Verizon had been much less outspoken than their technology and Internet counterparts. 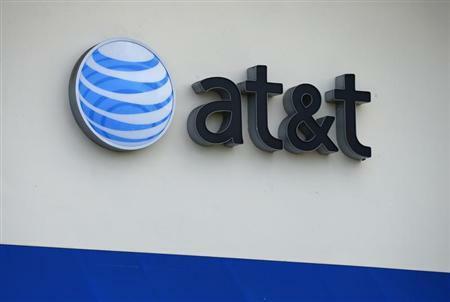 AT&T said it intends to start next year by disclosing the total number of requests received in 2013 in criminal cases, the number of customers affected and details about legal demands.